27.6.1914: Launched by Cochrane & Sons Ltd, Selby (Yd.No.606) for J. Marr & Son Ltd, Fleetwood. as VELIA. 28.8.1914: Registered at Fleetwood (FD49). James A. Robertson designated manager. 12.1914: Requisitioned for war service as a minesweeper (1-12pdr, 1-7.5” A/S Howitzer) Renamed SITVEL (Ad.No.197). Based Northern Patrol. By12.3.1919: Returned to owner at Fleetwood and reverted to VELIA (FD49). 17.6.1930: Outward for fishing grounds in Fleetwood Channel. 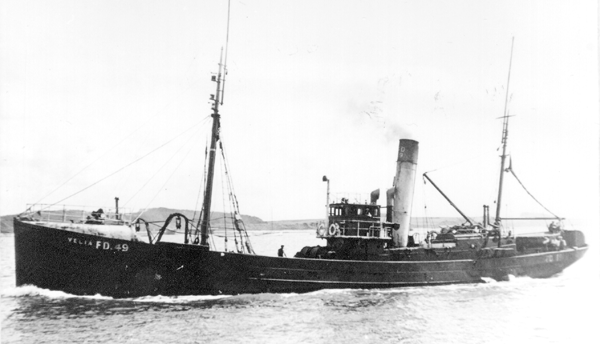 Steam trawler SULBY (FD87) also outwards had carbide drum fall into engine crankpit smashing engine, gas generated exploded causing considerable damage; no casualties. Connected and beached SULBY at Fleetwood. 21.12.1932: In squally weather with a strong SSE wind, stranded at about 10.30 pm. two miles S of Point of Ayre, IoM, stripping propeller. Steam trawler CHORLEY (FD26) stood by and attempted to pass warps but sea too rough. 22.12.1932: At 5.45 pm, with Glasgow tug FLYING FOAM (217grt/1917) in attendance, refloated. Delivered Fleetwood, repaired and returned to service. 26.1.1938: Arrived Fleetwood with damaged propeller sustained by striking a floating object when fishing on the west of Scotland grounds. Slow progress home due to vibration and continual gales (see RIVER CLYDE also affected by this weather). 1.5.1940: Requisitioned for war service (Hire rate £77.6.8d/month). 27.5.1940: Sailed Fleetwood for English Channel in company with GAVA (FD380) as Leader (Ty/Sk. F. Day) and DHOON (FD438), EDWINA (FD205), EVELYN ROSE (GY9) and JACINTA (FD235). 6.1940: Fitted out as an anti-submarine trawler. 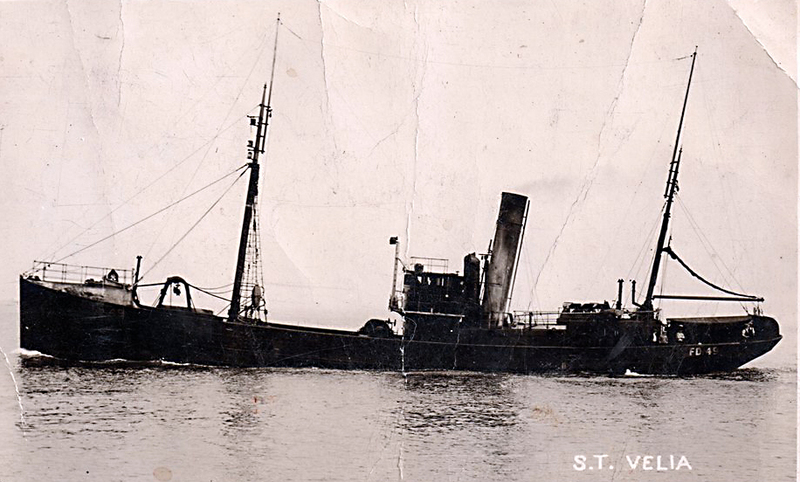 19.10.1940: Mined 8 miles SE of South Ship Head, Shipwash, Thames Estuary (Prob. Ty/Lieut. J. G. Shoobridge RNR). Approx position 51.48N 01.44E. All crew picked up by HM Trawlers HEKLA (P.No.FY.1650) (GY118) and STELLA CARINA (P.No.FY.352) (H327). 17/01/2008: Page published. 4 updates since then. 04/06/2017: Removed FMHT watermarks from images. 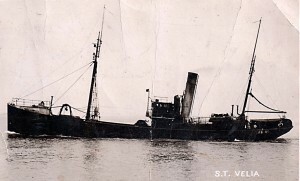 This entry was posted in Lost Vessels, Steam Trawlers, Steamers (Picture), War Losses and tagged Lost, Marr, War Loss on January 17, 2009 by Fred Smith.